Doing their best to keep the ailing spirit of Soho alive, London powerpop-punk quartet ROLE MODELS have just issued their debut album through Glunk Records. The Go-To Guy was recorded in London and Berlin and features guest appearances from MICHAEL MONROE BAND members Rich Jones and Sam Yaffa. 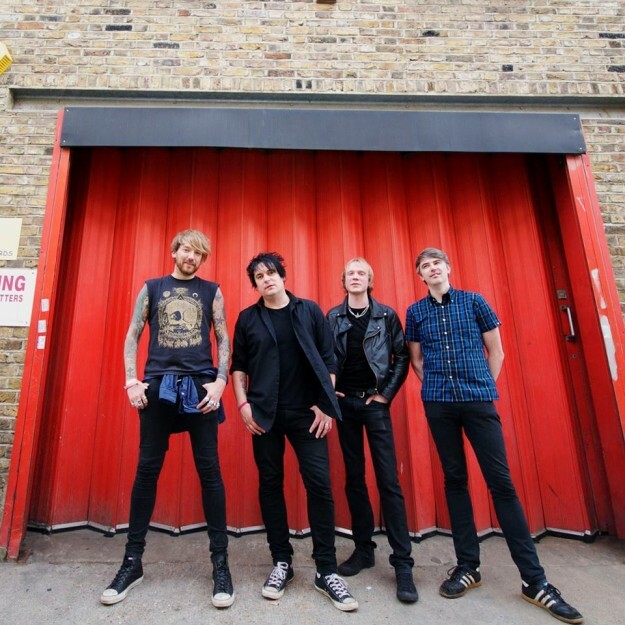 Fronted by guitarist and singer Rich Rags (formerly of London pop-punk legends THE LOYALTIES, who also featured Jones), the Role Models line-up is completed by Loyalties drummer Simon Maxwell, guitarist Nick Hughes and RED DONS bassist Daniel Hussayn. Resplendent in a sleeve depicting the pool-room of the much-missed Soho hangout The 12 Bar Club, The Go-To Guy is available now from Glunk Records. You can check out the album and download previous releases free here. ‹ FIDLAR ON THE HOOF!